Shire Ali, 30, stabbed three people in Melbourne’s CBD on Friday, killing renowned restaurateur Sisto Malaspina. Shire Ali later died in hospital from gunshot wounds. “This bloke, radicalised here in Australia with extreme Islam, took a knife and cut down a fellow Australian in Bourke Street,” he told Network Ten. “He was a terrorist. He was a radical extremist terrorist who took a knife to another Australian because he had been radicalised in this country. “That is the same, lame, old, tired excuse for not dealing with this problem,” Mr Morrison said. “I don’t believe that is where the majority of decent, hard-working, respectable Australian Muslims are at. “They want their community to be safer and there are people coming into their community and they are infecting their young people and others with hatred and false teaching, which is taking them off path. 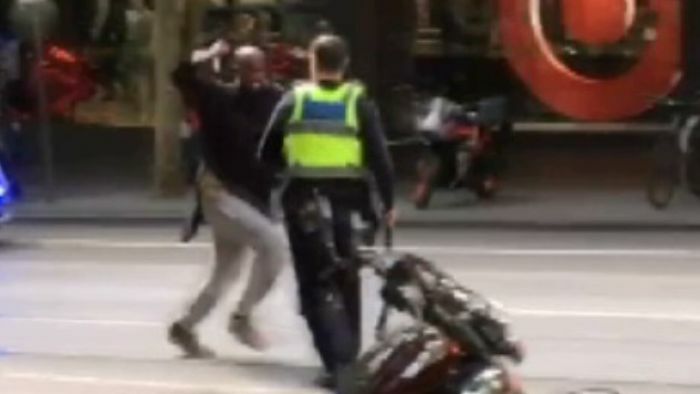 Somali-born Shire Ali moved to Melbourne in the 1990s, lit his ute on fire near one of Melbourne’s busiest thoroughfares on Friday afternoon, before stabbing three passers-by. One of his victims, the 74-year-old co-owner of the iconic Pellegrini’s Espresso Bar, Sisto Malaspina, died at the scene. The Prime Minister’s comments prompted a rebuke from Australian National Imams Council secretary Sheikh Moustapha, who told ABC Radio Melbourne it was “really wrong and unfair” to suggest his community wasn’t doing enough to prevent radicalisation. “We’ve been doing whatever we can in our capacity to eradicate extreme thoughts and potential acts of terror,” he said. “Obviously extremism and radicalism exists. It exists in Islam and a lot of other faiths and ideologies. It’s not something we are denying. Mr Dutton said nine in 10 of ASIO’s targets were using encrypted messaging services. “I hope over the last couple of days, Labor has been able to reconsider their position,” he said.